Heliswiss AG; main rotor and turbine separated from the rest of the fuselage while on ground at Lausanne, Switzerland. Corrosion was found after investigation in one blade which separated from the main rotor hub. Pilot was slightly injured. 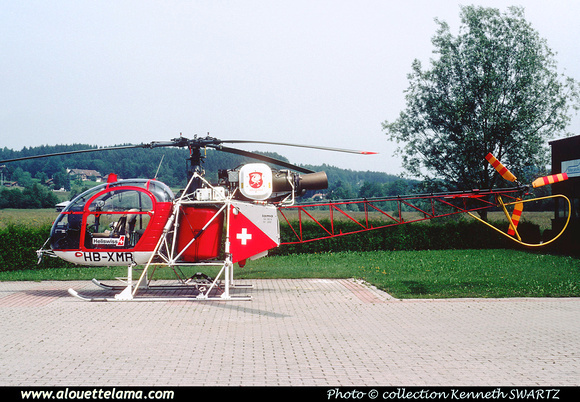 HB-XMR Eurocopter (Aérospatiale) SA315B Lama MSN 2512, Heliswiss - Switzerland - 08-1987 - Photo Kenneth Swartz collection. 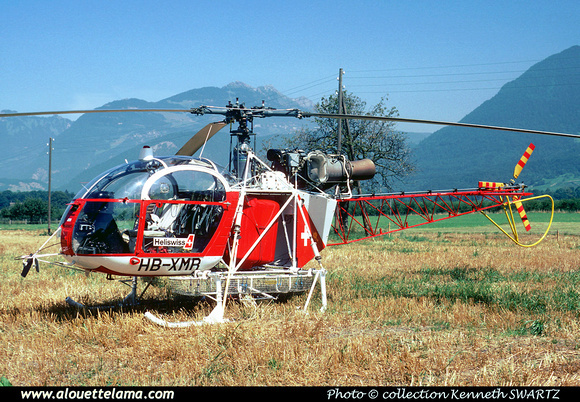 HB-XMR Eurocopter (Aérospatiale) SA315B Lama MSN 2512, Heliswiss Gruyère - Gruyères - LSGT - 07-1992 - Photo Kenneth Swartz collection. Dernière mise à jour/Last update : 12-05-2012. L'usage des logiciels Firefox ou Safari est recommandé. The use of Firefox or Safari browsers is recommended.